It still very much feel like summer here. And that means I do not feel like cooking. 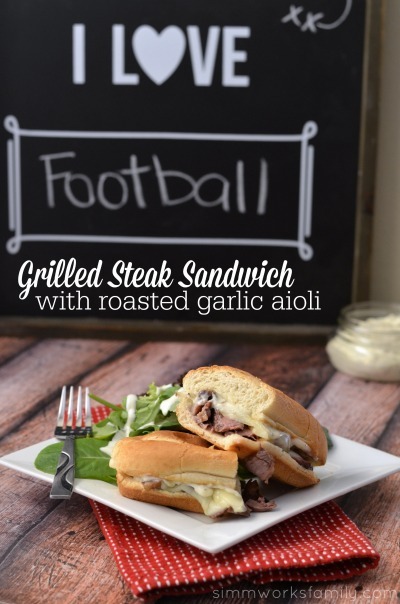 So this weekend as we watched a little football we grilled up some steak sandwiches to munch on. 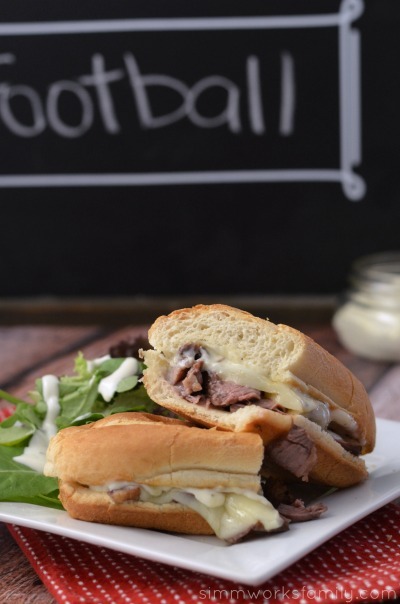 Since I didn’t want just a plain steak sandwich I decided to make a delicious roasted garlic aioli to give the sandwich more flavor. While the barbecue was heating up to 400 degrees I put some garlic heads in some foil (bottom sliced off) with a good amount of olive oil. I sealed the foil and added it to the barbecue. The garlic roasted while the steaks cooked and continued cooking while the steaks rested and took about 20 minutes to cook. Everything else went quickly after the garlic was ready. And everything was done on the grill! Well… except the salad. But you can always grill your salad next time. Preheat grill. Season steaks with salt and pepper. Cook steaks on grill until medium (slightly pink throughout inside). Set steaks aside to rest. 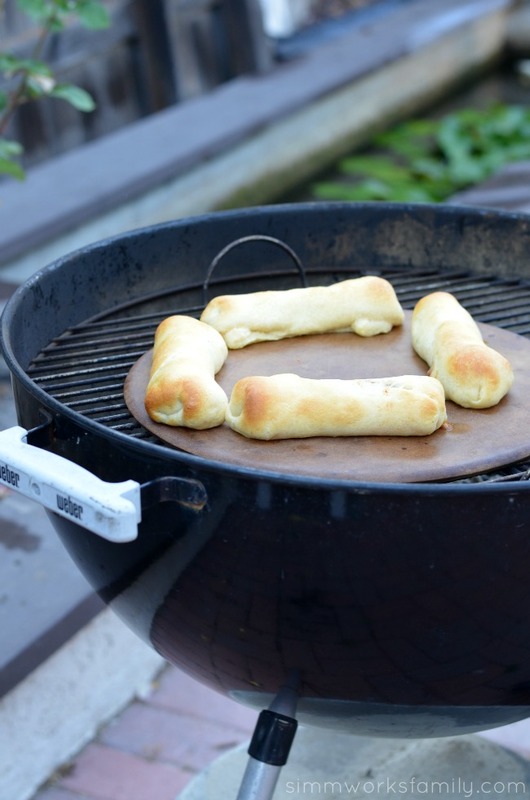 Add rolls to grill to toast up. Take off once they have grill marks. Cut steak against the grain in thin strips. Slather each roll with a bit of aioli and add a good pile of steak on top. Top with provalone. 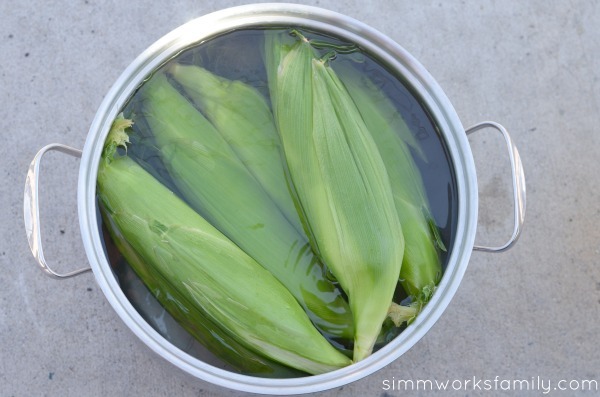 Add to the top rack of the grill (or not directly over the coals if using a charcoal grill) and close the lid. Cook just long enough for cheese to melt. Serve with a tasty salad and enjoy! Preheat grill to 400 degrees. Slice off bottom of garlic head and put on a square piece of foil. Add olive oil to foil and wrap closed. Put garlic on grill and let roast 20 minutes. Let garlic cool. While garlic is cooling, mix all other ingredients together and set aside. Once garlic has cooled, squeeze garlic from the skin and place in a small bowl. 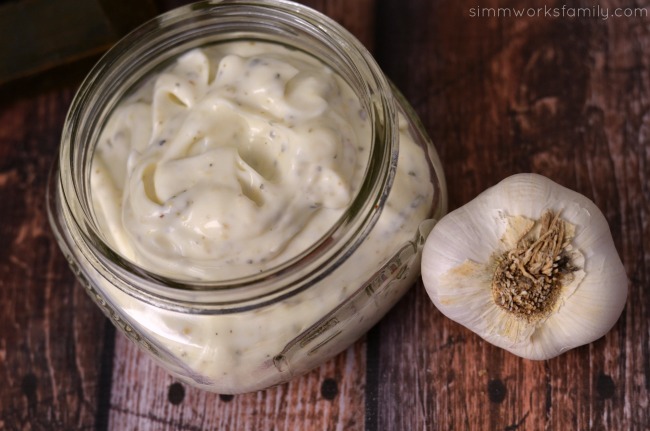 Using a fork, mash the garlic up into smaller pieces and add to the mayo mixture. Stir well. 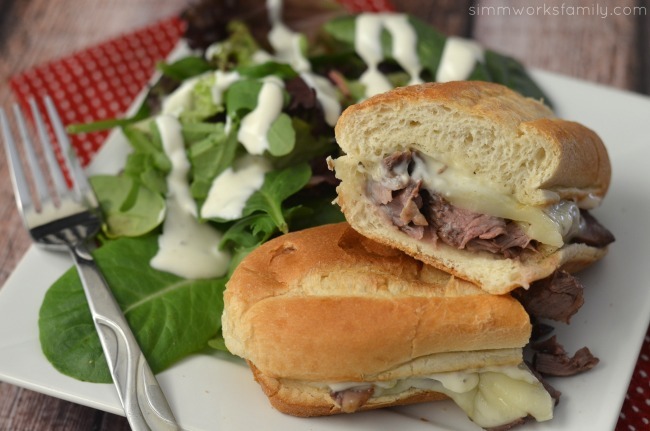 Use to top the steak sandwiches (recipe above). Store in the refrigerator in an air tight container. 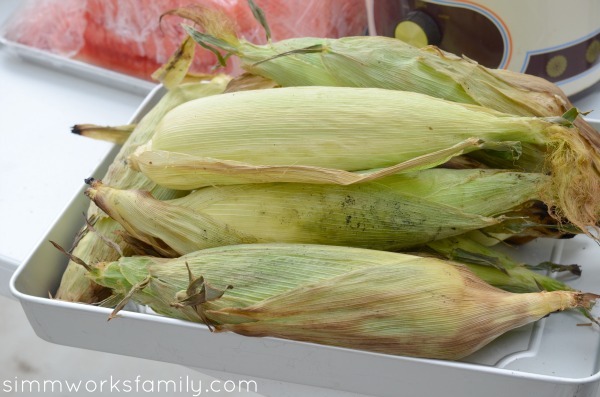 What’s your favorite tailgating meal? 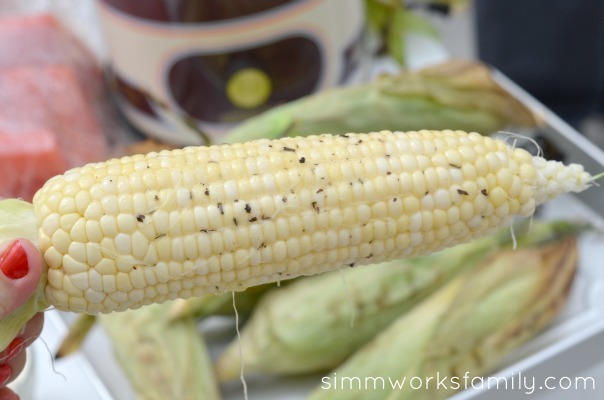 Looking for a fun and easy dinner this summer? Try these Chili Cheese Crescent Dogs on the grill. Not only are they delicious, they’re easy too! Do you ever have one of those days in the summer where you just don’t want to turn on the oven? Living in SoCal, we have about a month of that. So on those sweltering hot days I turn to the outdoors and our barbecue to get creative with dinner. But I don’t leave all of my kitchen tools in the kitchen! I also bring them to the grill. 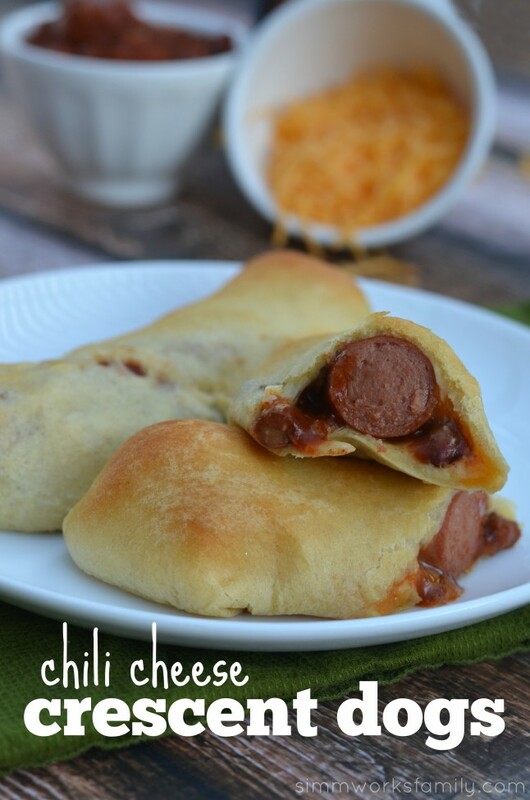 This past weekend I busted out the pizza stone and made some delicious chili cheese crescent dogs on the grill. Not only were they quick to put together (I used leftover chili I froze earlier in the month), they took less than 15 minutes to cook on the grill. And? I wasn’t sweating while eating my meal. Now that’s a win! 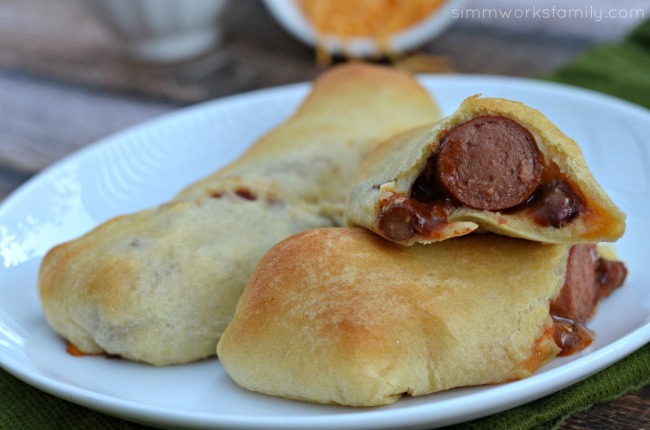 Stuffed crescent dogs are so easy to make. 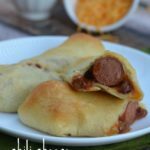 And even when I’m watching what I eat, I can easily modify them by using fat free beef franks and fat free crescent rolls. Just make sure you leave a little edge to use while wrapping them up together. And pinch the seams of the crescent dough together really well (or use a rolling pin to roll the dough out flat) so that none of the stuffing comes out. Start up the grill. If using charcoal, make sure to wait until the charcoal is all white/gray. Place a pizza stone on the grill to heat up. 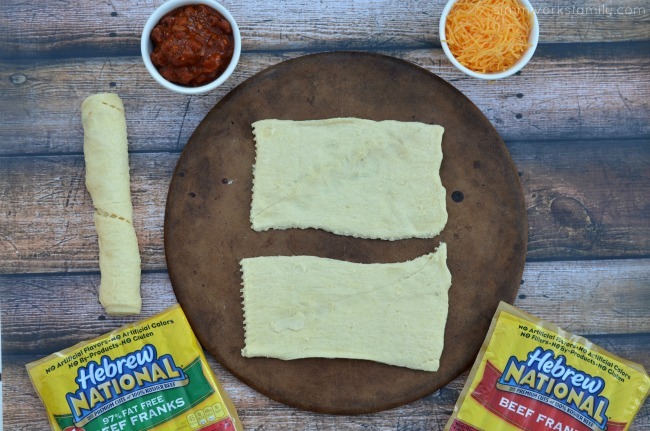 While grill is heating up, roll out crescent dough and break off into four rectangles (each rectangle will be made out of 2 triangles). Press seam together by using your fingers or a rolling pin. Place a hot dog on each of the rectangles. 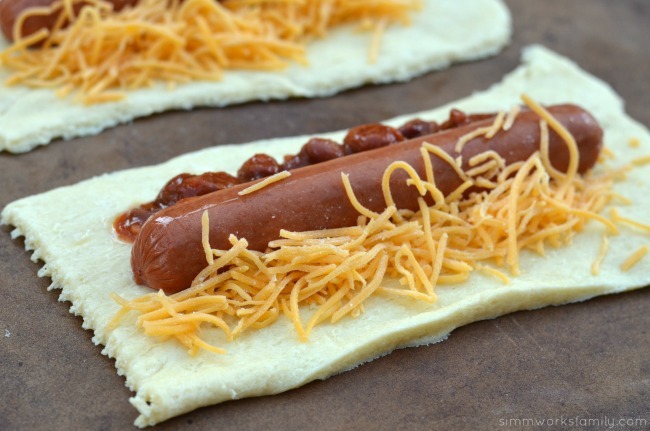 Top with choice of toppings (about 1 tablespoon of chili and 1 tablespoon of cheese) and seal together by wrapping dough around the hot dog and toppings. Make sure the seams are pinched together. 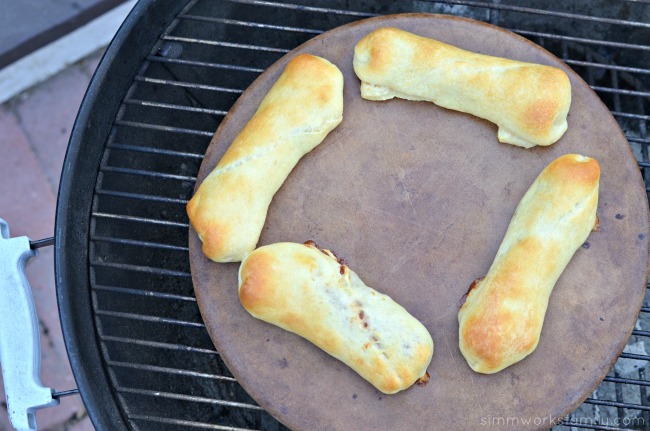 When grill is at the right temperature (375 if a gas grill, white hot coals if a charcol grill) place stuffed crescent rolls onto the pizza stone. 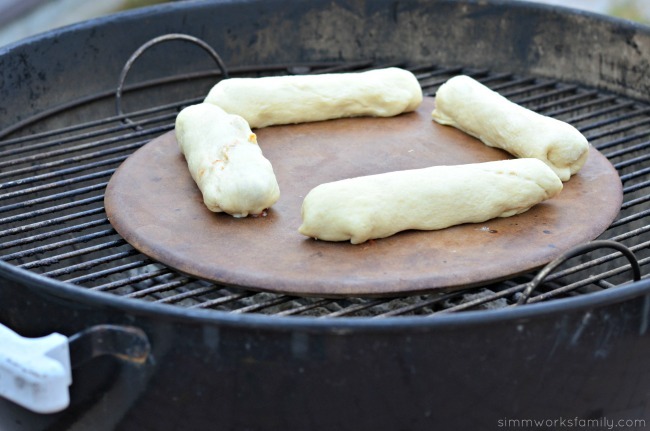 Bake on the grill for 13-15 minutes or until golden brown and the dough is completely cooked. Remove from the stone and serve. Enjoy! 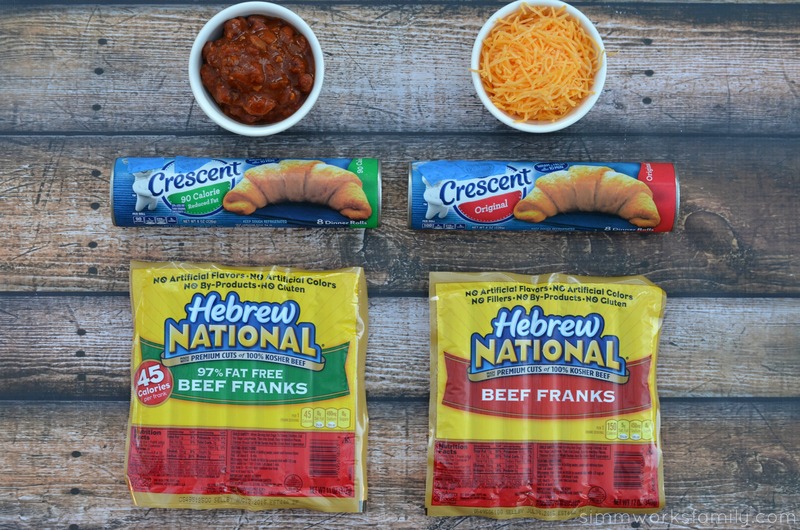 What’s your favorite way to doctor up your hot dogs? 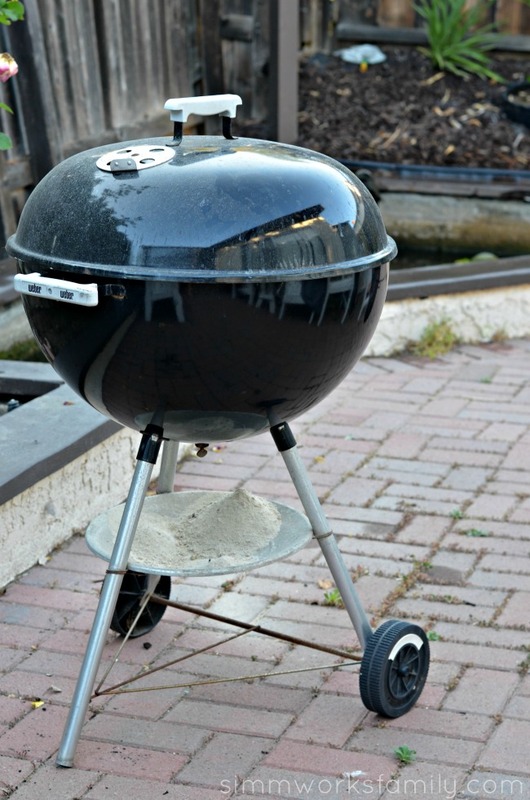 Summertime is the perfect time to whip out the barbecue and open up the outdoor kitchen. With temperatures in the 80s and 90s over the past few weeks we’ve done a lot of grilling in our home. 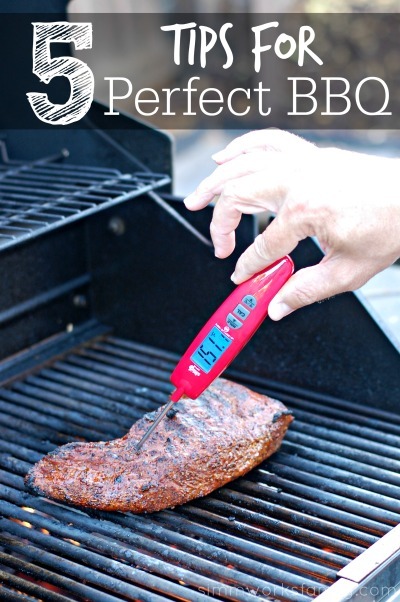 After receiving an Eat Smart thermometer to try out I decided to write up some tips for the perfect barbecue. 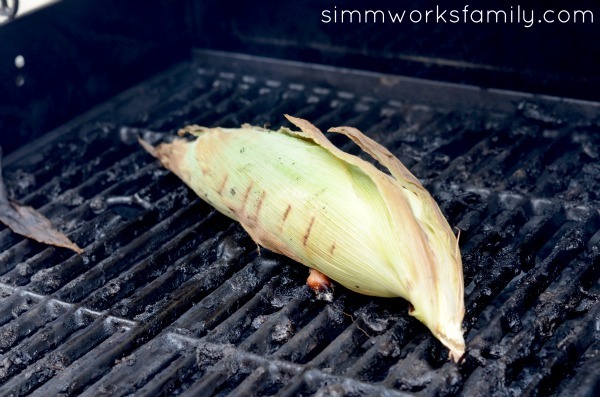 They’re very simple and basic but make a huge difference when cooking meat on the grill. 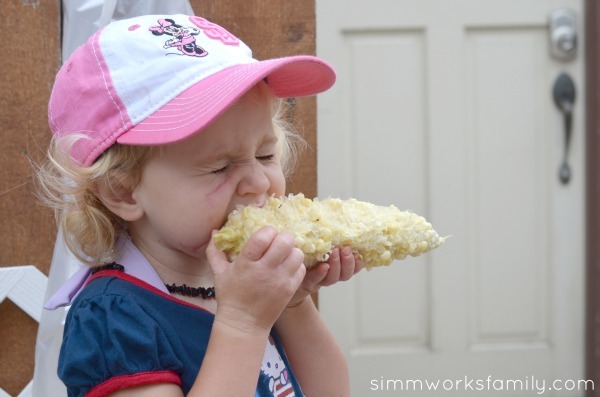 Summer is here and that means it’s time to start cooking! 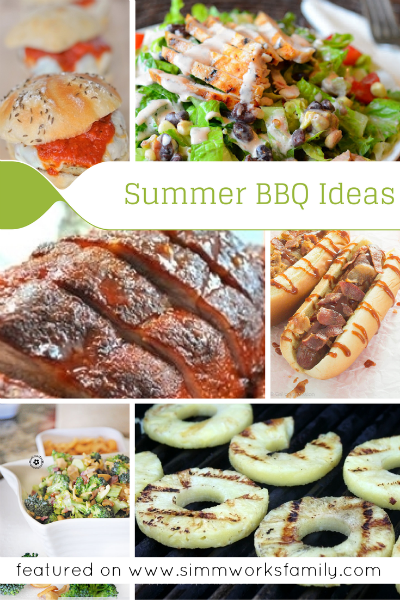 The warm weather is perfect for inviting a few friends and family over for a laid-back BBQ cookout any day of the week. I love how easy it is to BBQ. 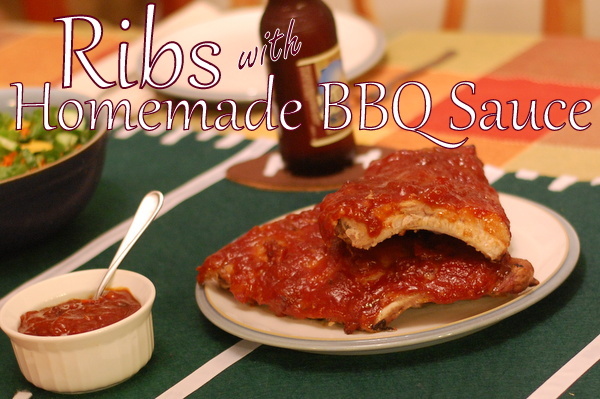 A good rub or marinade, some meat and veggies, and a hot grill! 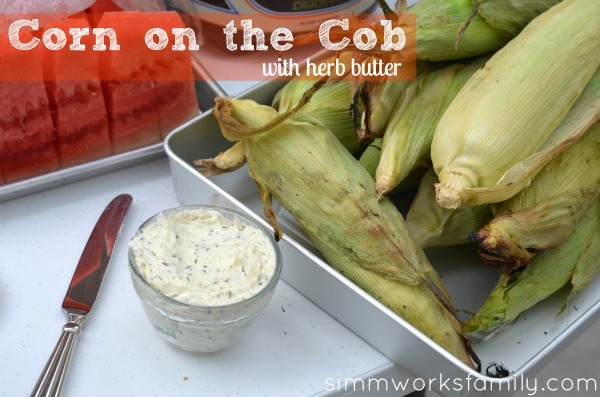 Plus there are so many great sides and treats to serve alongside the BBQ goodies.